Our Xbox skins all have creative designs. This style includes a cat´s eyes as if it is lurking in the darkness and hunting its prey. 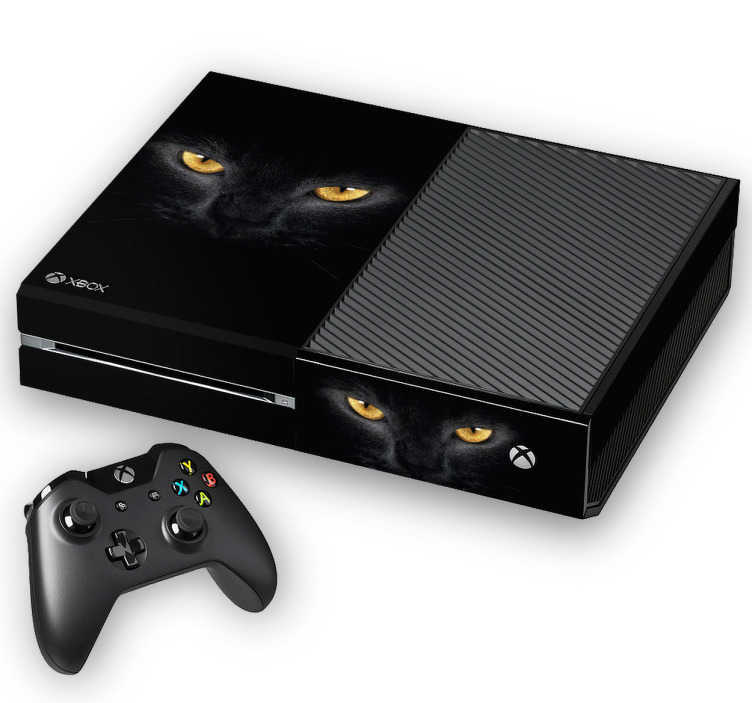 Use this Xbox sticker to have an animal instinct for when you are gaming and match your winning mentality. Our Xbox wraps are made for your Xbox One, Xbox One S and your controllers too!